Turmeric is an Asian plant derived from the ginger family, whose roots are commonly used for cooking and health benefits. It can be characterised by its vibrant yellow and orange colour. Turmeric can be seen throughout history. Mainly in cooking, the compound is also commonly found in traditional medicines such as Ayurveda. Through the recent supplement and health food revolution, turmeric can now be found in almost any supermarket: dried, fresh or in supplement form. But what are the benefits of turmeric ingestion and does it serve any purpose other than adding colour to your food? Modern medicine has found that turmeric acts as an antioxidant with anti-inflammatory and immune boosting properties. Due to these antimicrobial and medicinal properties, turmeric has been shown to benefit those with heart disease, osteoporosis and obesity. Its therapeutic efficacy has led multiple healthcare professionals to recommend its use. Research has identified that many of the benefits are due to plant substances called Curcuminoids (the yellow pigment) of which Circumin is the most active. Turmeric also contains a source of beta-carotene, which has been shown to aid decongestion of the liver and protein digestion. But how can turmeric ingestion aid the everyday gym-goer? So where can you find it and what’s the best way to ingest it? This ‘superfood’ can be found almost anywhere. Pop to your local shops or supermarket and it will certainly be sitting on the shelf. Most commonly it is sold in a powdered dry form but it can be bought fresh. As with most beneficial foods, supplementation also exists through tablets or oils. All three sources of turmeric can give the previously mentioned benefits. Both dried and fresh turmeric are excellent for cooking, whether it be for flavour or to add some colour. 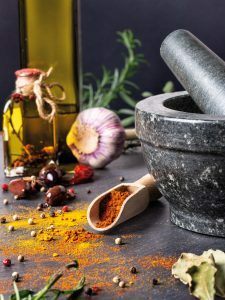 However, be aware that cooking can reduce the bioavailability and effectiveness of turmeric, meaning that supplementation can be used for a quick, easy and effective alternative. Always read the labels to ensure that the product is of the highest quality! Always seek medical advice before ingesting or supplementing Turmeric. Here at LDNM, we’ve been using the amazing powers of turmeric for some time in our recipes. Here are a few of our favourites for you to try!